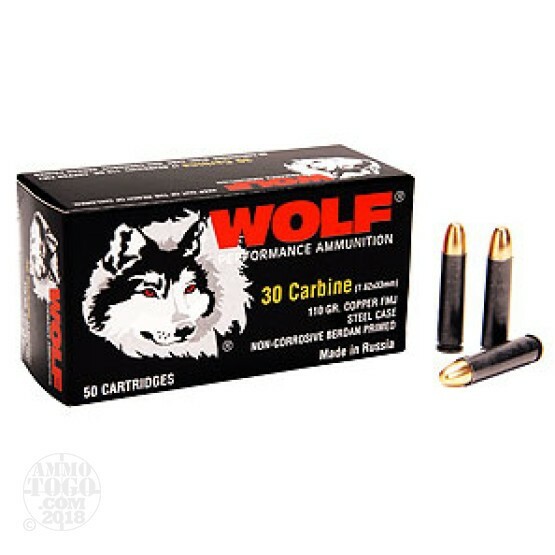 This is .30 Carbine Wolf 110gr FMJ ammo. This ammo has the polymer steel case and is non-corrosive. This is good plinking ammo. It comes packed in 50 rd. boxes, 1000rds. per case.